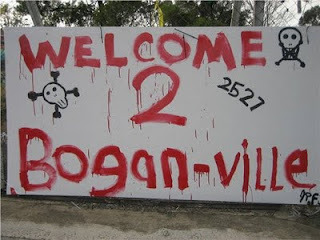 I recently took a return trip to Boganville. Huzzah for the Christmas holidays and hanging out with family. But I also indulged my inner bogan child with a bit of FMX fun. And what fun it was! 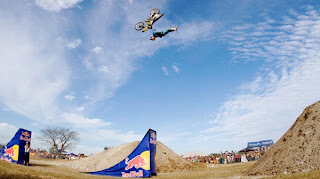 Perfect timing as well, as we’re off to the bogan extravaganza known as Nitro Circus in March. Would you have known from past posts that I’m a massive fan of gravity-defying stunts, the smell of petrol, and heavy metal music. Unless you know me well, I would think not. I buy electronics and appliances in pink and purple. I have a secret penchant for selected cheesy pop music. (Panic at the Disco anyone?). Well it’s true. Back in the small town origins of old you were either a wigga or a bogan. My wigga days were fairly shortlived (although the cds continue to be played at random intervals – Dre 2001 will never get old) due to the unflattering nature of hoodies and the unfortunate terming ‘hoodrat’. So I returned to the classic small town white person exemplar. 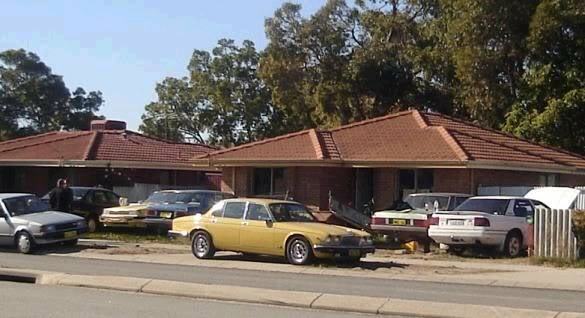 I’d spent a lot of my childhood in the shed around cars. And a car was a large factor in the choice of guys to hang out with. My group were into Dattos (Datsuns/Nissans for the uninitiates) – and how fitting that was seeing as my dad had the sexiest Datto of them all – the Fairlady Z car. So that’s the background. What has happened to that bogan child today? Living in the city doesn’t mean entirely giving up on the things we left behind. 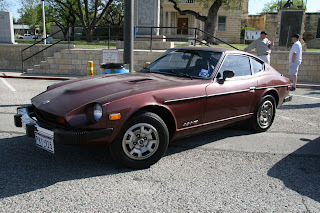 I still love cars. I like driving fast. I’m SUPER stoked for the upcoming Nitro adrenalin-fest. I still listen to metal (mixed in with a rather varying taste of music that I enjoy today). It’s just not as obvious as it used to be. And I’m sure many of you out there are the same. So what do we term these urbanised beasts? We wear the skin of the professional, but maintain the classic bogan traits. Our men may use hair and skin products, but that doesn’t mean the animal underneath has become extinct. Just aptly groomed. I call them the “urbogan” – or urban bogan if you will. You might not recognise one right away, but if you still like your music as loud and fast as your cars, chances are you’ll make friends with someone with similar surreptitious tastes. Don’t judge a bogan by his suit. Or her pink phone.